Angela Renee Lancaster Barnes went to be with God on Thursday, September 6th after a courageous and hard-fought battle. Angie died at her home in Franklin, TN while surrounded by her loving family. She was 50-years-old. Angie was born on September 30, 1967 in Ringgold, GA. She was a graduate of Tyner High School. She was a homemaker, a former member of the McBrien Elementary School PTA and a Booster Club member of the JROTC at East Ridge High School. Angie was a champion steel-tip dart thrower who held many state and local titles, including being ranked at one time in the top ten women’s throwers in the world. She was also a founding member of the Chattanooga Ladies Darting Association. Angie had a huge heart, was a devoted collegiate football fan (“Go Noles!”), and was passionate about forensic science and crime documentaries. She was smart and sassy and her spirit lived up to the reputation of her beautiful, fiery red hair. She was preceded in death by her beloved mother, Donna Silvers Vipond, her father, Larry Lancaster, and her baby sister, Marcy. Survivors include her husband and partner of 26 years, Chris Barnes of Franklin, children, Josh Taylor of Chattanooga, and Sarah and Christopher Barnes, of Franklin. A celebration of life memorial will be at 2 PM on Saturday, September 15, in the chapel. Burial will follow at Forest Hills Cemetery, Chattanooga. 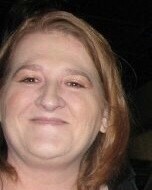 Donations in Angie’s memory may be made to FCancer.org or FC Cancer Foundation. Please visit www.heritagechattanooga.com to share words of comfort and view the memorial tribute. The family will receive friends on Friday, September 14 from 5-7 PM at Heritage Funeral Home East Brainerd Rd.